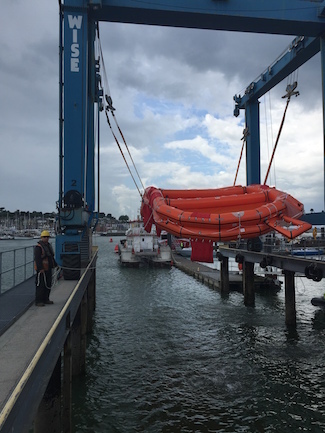 Our Cowes Harbour Services team has a wide range of equipment and resources at their disposal, and with the experience of many years spent on the water, we are often called upon to deal with the jobs that no one else can. 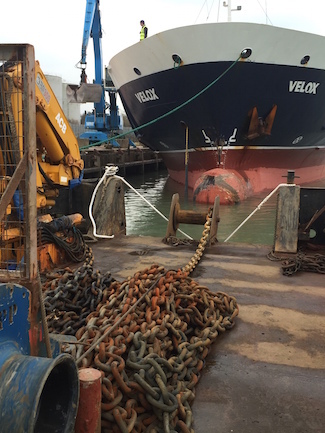 The Multi-Cat barge Seaclear is our main works vessel for the ordinary and extraordinary, and with a 30 tm crane with 12m reach and a 26 tonne deck cargo capacity she makes the perfect platform and base for everything from divers’ equipment to 300 metres of ship’s anchor chain. 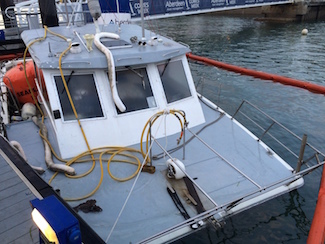 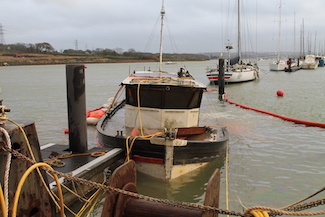 Seaclear can also be loaded with a man-up cage, pressure washer and compressor, welding equipment and oxy-acetylene burning gear, and she is available anywhere in the Solent at short notice. 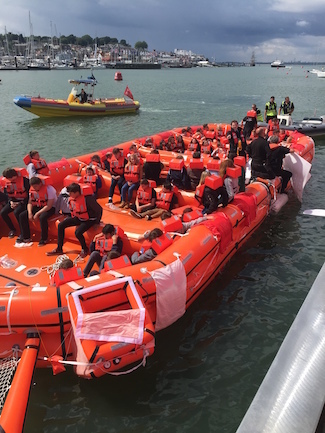 As a back up, and very much useful in her own right, certified for 2 tonnes of deck cargo and 12 passengers we have Seamark, harbour launch and tug, an 8m Cheverton launch and of course, access to the Cowes Harbour Services launches and RIBS. 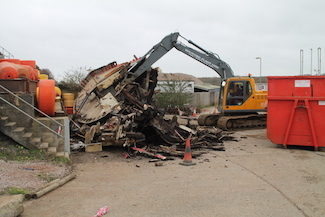 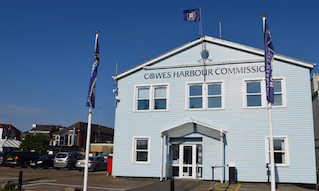 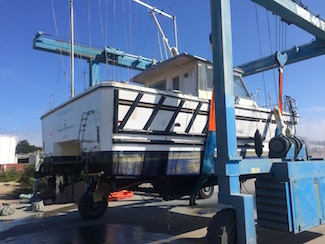 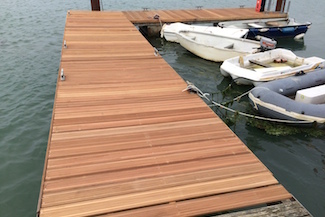 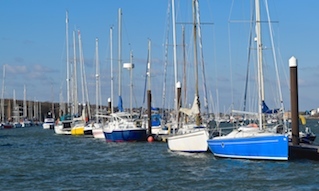 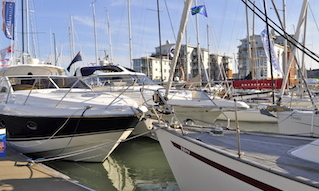 Also in the tool box are the full boatyard facilities at the Cowes Harbour Services Boatyard, with hoist capacity up to 40 tonnes, cranage and yard facilities. 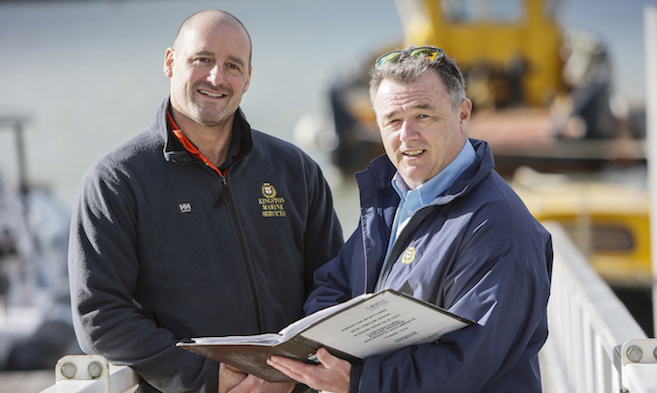 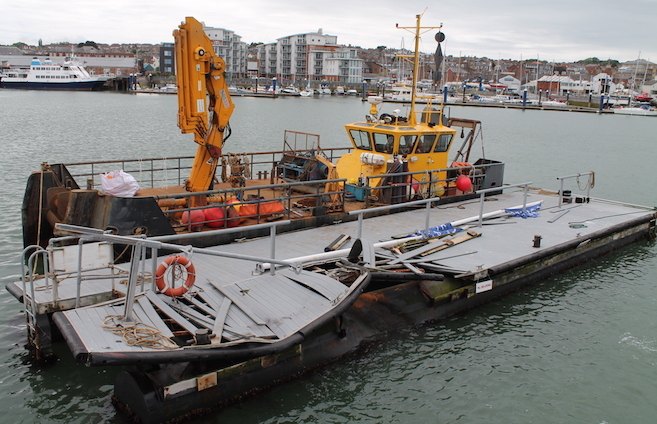 Most of all though, for special projects, Cowes Harbour Services relies on the afloat team who between them have something over 50 years’ experience on the River Medina and the Solent and they are able to tackle whatever comes through the door, however ‘extra ordinary’. 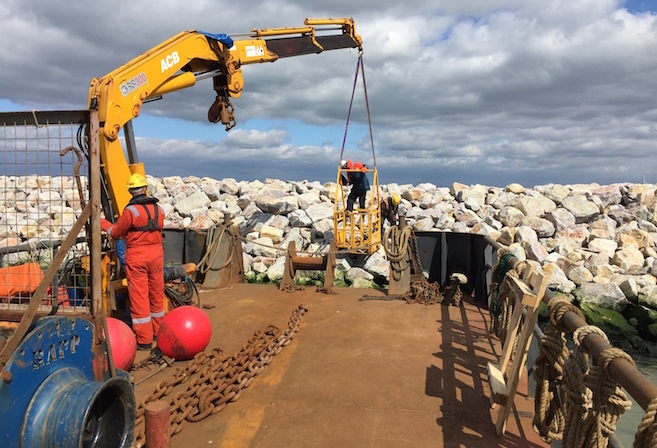 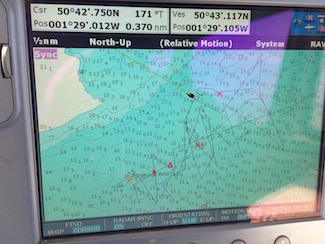 With the construction of the Cowes Breakwater, Seaclear was called upon to deliver both stores and personnel to the breakwater and is seen below landing survey personnel on the completed, rock armoured structure. 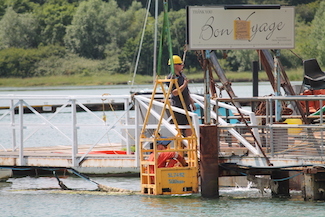 Top photo: Seamark being used as a working platform during the assembly stage of a jack-up barge for Structural Soils Ltd who will carry out investigation boreholes at the proposed Homes and Communities Agency led Kingston Marine Park development on the River Medina.